You've booked flights and accommodation, bought a guidebook and packed your bags. And the weather forecast in your destination is turning over from "sunny" to "cloudy with a chance of showers". Sound familiar? In case your destination is El Chorro, here's a few tips on how and where you can get the most out of your climbing holiday, despite the weather. Too wet? Oh, no! It's raining (again)! 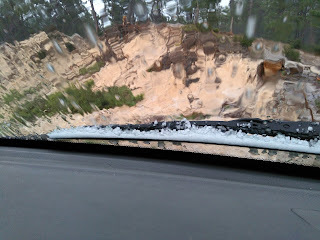 Continuous rain is probably the worst weather condition when it comes to climbing. It's not fun to climb on wet rock and it usually takes a while for the crag to dry. Some routes with cracks or tufas might drip for several days (that's actually how tufas are formed). On the other hand, south facing walls can get dry really fast, if the sun starts shining and wind blows from a favourable direction. Some steep overhanging caves might not get wet at all, despite the heavy rain. 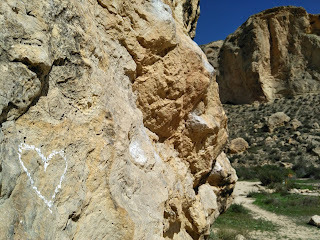 So, where to go climbing if it rains in El Chorro? If you are a climber, the question has probably crossed your mind at some point. Can you make climbing a profession and how does it happen? Commercial potential of the sport is huge, because climbing in all it's forms is getting really popular in Finland. This is best seen at indoor climbing gyms, which are often packed. A new gym was opened in Espoo just last October, and there are now six gyms in and near Helsinki. The season is short, so most Finnish climbers practice indoors at least part of the year (if they can't escape the rain and dropping temperature abroad, haha). There's also a million different courses available, aimed mostly at first-timers or beginners.